[Episcopal Diocese of Lexington] The Rt. Rev. Mark Van Koevering has been selected as the new bishop provisional for the Diocese of Lexington in eastern Kentucky. After learning of the Rt. Rev. Bruce Caldwell’s intent to resign, the standing committee entered into a process of discernment with the Office of Pastoral Development for the Episcopal Church and other leaders within the diocese. This led to a motion, made by the Rev. Matthew Young, president of standing committee, at the 122nd annual diocesan convention on Feb. 24, inviting the diocese to place itself under the provisional charge and authority of Van Koevering. The motion passed with an overwhelming positive response from deputies of convention. Van Koevering’s ecclesiastical authority begins immediately at the close of convention, and he will take up residence in the diocese at the beginning of April. Van Koevering and his wife, the Rev. Helen Van Koevering, spent 13 years in the Anglican Diocese of Niassa in Mozambique, where he served as the bishop. He resigned that position to return to the United States and serve as assisting bishop in West Virginia. Van Koevering brings gifts for ministry and experience that will benefit some particularities in the Lexington diocese, especially ministry in Appalachia and on behalf of small congregations. 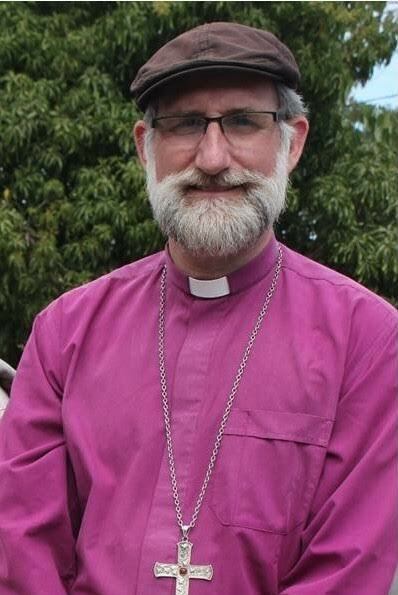 He is pleased to be able to join the diocese in mission and ministry: “After meeting with the standing committee, the Episcopal election planning committee, the diocesan staff and most of the clergy of the diocese, I have grown increasingly encouraged by what I have heard and seen. God is at work among you,” Van Koevering said. Bishop Mark (and Mother Helen) will each be gifts to the Diocese of Lexington, as they have been to West Virginia. One correction, however. Mark was assistant bishop here, not assisting.